DEAR JERRY: It seems the three-inch CD mini single format pretty much flopped, but I find them cute, collectible, and, best of all, inexpensive. For five bucks I picked up the Beatles “Love Me Do” and “P.S. I Love You,” a 1988 release. The seller said it was among the first CD3s issued in the U.S. True or false? How many mini discs did the Beatles have, and do they all have just two songs? Any idea how many CDs total were made before this format went the way of pre-recorded reel-to-reel and 8-track tapes? DEAR CHARLENE: Since “among” is not a specific quantity, I'll just provide some facts to help you decide the true or false issue. Over the next two years, nearly 500 CD3s came out in the U.S., covering nearly every genre from the 1950s to present. 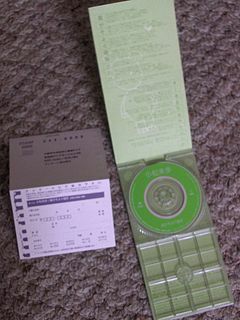 CD3 discs, which can hold about 20 minutes of content, vary from one to six tracks with most having either two or four. The number of American CD3s made in 1990 is about the same as 1987 — a mere handful — and the chapter soon closed on this experiment. Your Beatles disc is but one of over 200 mini singles issued in 1988, making it quite a stretch to say it's among the first. In 1988 and '89, EMI-Parlophone-Capitol issued about two dozen Beatles CD3s, far more than any other artist. In keeping with the vinyl single tradition, each mini has two tracks. Most have the same tunes as the original 45s (e.g., “Can't Buy Me Love” and “You Can't Do That”), though a few surprised us with an uncommon pairing. Among those is “A Hard Day's Night” backed with “Things We Said Today.” In 1994, Capitol-Cema even produced a vinyl single of this unlikely coupling of 1964 songs (S7-17692). For just a fin, you paid roughly the same as the then-overpriced retail cost 23 years ago. Now it seems like a bargain. DEAR JERRY: I just heard a blip during the Entertainment Tonight music news that reminded me very much of something you would be writing about. It seems someone recently had their album, digital of course, claim the No. 1 spot on Billboard, without the benefit of ever having a hit single. I know it is more traditional for performers to establish themselves first with one or more hit singles, but I can't believe no one has done it before 2011. DEAR EDDY: Having not heard that blip, my reply can only assume your interpretation of the facts to be accurate. With that disclaimer stated, I definitely agree with your assessment. Uncommon as it is, in researching just the first two decades of vinyl LPs I still found nine No. 1 albums by artists with no previous chart singles. In the case of the two spoken-word albums — by Bob Newhart and Vaughn Meader — neither comedian had ANY single releases before their first LP. Likewise with the British all-star group, Blind Faith (Eric Clapton; Steve Winwood; Rick Grech; and Ginger Baker). IZ ZAT SO? For the first 16 full years of vinyl LPs, an amazing 62% of the time the nation's No. 1 album was either a movie-TV soundtrack or an original cast recording. From 1949 through 1965 — specifically, “Words and Music” to “The Sound of Music” — one collection or another of show tunes topped the charts for 516 weeks. This includes both 10- and 12-inch discs. A godly week this week, save for the #2 spot going to a Northern Soul rarity. The pulled A&M "God Save The Queen" sold for a very high price over $17k - the probable reasons being that, for one, the record was mint, and for another it came with the stock box that at one point held 25 copies of this record. Here are a few facts about the history of the record: In 1877, Thomas Edison invented the phonograph. In 1948, the 12" Long Play (LP) 33⅓ rpm microgroove record was introduced by Columbia. This led to rival RCA Victor's introduction of a competing format, the 7" / 45 rpm Extended Play (EP), sparking what is now known as the "War of the Speeds." For the next four decades, vinyl reigned supreme as the dominant music-delivery format, withstanding challenges from reel-to-reel, 8-track, and cassette. But in 1988, the CD overtook the record in popularity, and the rise of digital formats continued to the present. However, that may not be the end of the story. Nearly 2.9 million records shipped in 2008, the most in any year since 1998. Figures have been on the rise since then. And with a 60-year history (depending on how you're counting), it's only natural that the medium has been celebrated many times in song. Read on for the 10 best songs about vinyl records. 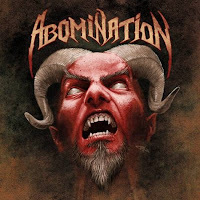 It's been more than 20 years since the release of their self-titled debut album, ABOMINATION, the acclaimed 1990s death/thrash metal band formed by Paul Speckmann, will have its early material re-released on November 4th on Nuclear Blast. 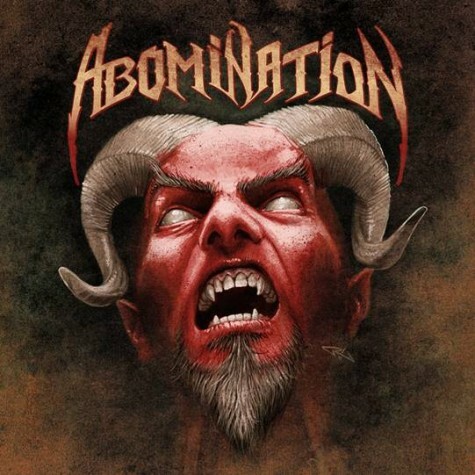 The two-CD set includes the albums 'Abomination' (1990) and 'Tragedy Strikes' (1991) as well as rare demos and EP. Bert Jansch, one of the most influential British guitarists of modern times, has died at the age of 67. Jansch passed away in the early hours October 5 after a long battle with cancer. Jansch, born in Scotland of German parentage, was never a mainstream star. He never had big hit records, even when with pioneering U.K. folk-rock group Pentangle. But Jansch was a “guitarist’s guitarist”. and in music history for today, october 5th. a few legendary singles were released today including "White Room" and "Magic Carpet Ride," "Cat's in the Cradle," however, i am focusing on the beatles' first "Love Me Do"
In 1930, the New York Philharmonic Orchestra was heard on the air over CBS radio from Carnegie Hall for the first time. In 1958, Cliff Richard and The Shadows played their first gig together when they appeared at the Victoria Hall, Hanley, England. In 1959, 21 year-old Paul Evans reaches the Billboard chart for the first time with a novelty song called "Seven Little Girls" (sittin' in the back seat, kissin' and huggin' with Fred). As well as his own recording career, Evans wrote many hits for other artists, including Bobby Vinton's "Roses Are Red" and The Kalin Twins "When". In 1961, Neil Sedaka recorded "Happy Birthday Sweet Sixteen," which will become his eighth US Top 20 hit. He will go on to have thirteen more. In 1961, as a follow up to their US #1 smash, "Blue Moon," the Marcels release a similar sounding tune called "Heartaches," which climbed to number seven on the US Pop chart. 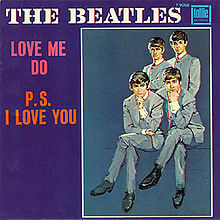 In 1962, the Beatles' first single, "Love Me Do," backed with "P.S. I Love You," was released in the UK. The record got its first radio play the same evening on the EMI-owned Radio Luxembourg. When the single was originally released in the United Kingdom, it peaked at #17; in 1982 it was re-issued and reached #4. In the United States the single was a #1 hit in 1964. John Lennon and Paul McCartney wrote this in 1958, when John was 17 and Paul was 16. They made time for songwriting by skipping school. They had written songs before, but this was the first one they liked enough to record. McCartney wrote this about his girlfriend at the time, Iris Caldwell. When they played this for an audition with Parlophone Records, the producer they auditioned for was George Martin, who became a key figure in Beatles history as he helped shape their sound. He started tinkering with the song right away, adding the harmonica part. Fortunately, John Lennon knew how to play the harmonica and was able to come up with something. The Beatles recorded versions of this with 3 different drummers. At their first Parlophone audition in June, 1962, Pete Best was still their drummer. When they recorded this on September 4, Ringo was their drummer, but when George Martin decided this would be the single, he had them record it again a week later. At this session, he used a session drummer named Andy White and stuck Ringo with the maracas. 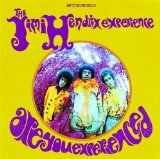 The version with Ringo drumming was released as the single, but the version released on the album had Andy White's drumming. Ringo didn't pitch a fit when he got bumped at the session, but was very upset and felt real insecure, especially since The Beatles had just fired a drummer. The Beatles were very close to releasing another song as their first single. At their September 4 recording session, George Martin decided their first single should be a song called "How Do You Do It?," which was written by someone else. The Beatles were not pleased and did some lackluster takes of the song before they were allowed to record "Love Me Do." Eventually, Martin changed his mind and went with "Love Me Do." "How Do You Do It?" became a hit for Gerry and the Pacemakers in 1964. No original master tapes of the 4 September version of "Love Me Do" are known to exist. Standard procedure at Abbey Road Studios at the time was to erase the original two-track session tape for singles once they had been "mixed down" to the (usually monaural) master tape used to press records. This was the fate of two Beatles singles (four songs): "Love Me Do", "P.S. I Love You", "She Loves You", and "I'll Get You". However, at some point the mixdown master tape for this song was also lost, and apparently no backup copies had been made. Thus, for many years the only extant recorded copies were the red label Parlophone 45 rpm vinyl records pressed in 1962. This version was also issued in Canada as Capitol 72076. Around 1980, a reasonably clean, original 45 from EMI's archives was used as the "best available source" for the track's inclusion on the Capitol compilation LP Rarities. A few years later, a new master tape was struck, this time using another, better-sounding 45 supplied by a record collector, and this has served as the official EMI master tape for the original "Love Me Do" ever since. In 1967, the Association's "Never My Love" reached its peak position of number 2 on Billboard's Hot 100. As of the end of 2001, the Recording Industry Association of America listed it as the second most played song in the 20th century with over 7 million radio plays. "You've Lost That Lovin' Feeling" by The Righteous Brothers was first with over 8 million. "White Room" by Cream was released in 1968. "Magic Carpet Ride" was released by Steppenwolf in 1968. The Who performed on "The Ed Sullivan Show" in 1969. In 1974, Olivia Newton-John had her first chart topping album with "If You Love Me, Let Me Know", which contained her third US number one single, "I Honestly Love You". Also in 1974, the Guess Who's "Clap For The Wolfman" peaked at #6 on Billboard's Hot 100. The track featured the voice of legendary disc jockey, Wolfman Jack. In 1974, the Beach Boys went to #1 on the US album chart for the second time with "Endless Summer". The LP, which contained altered versions of "Be True to Your School", "Help Me Rhonda" and "Fun, Fun, Fun", would spend 155 weeks on the Billboard Hot 200, selling over 3 million copies. "Cat's in the Cradle" was released by Harry Chapin in 1975. In 1982, twenty years after its first release, EMI Records re-issues The Beatles' "Love Me Do" in the UK. It will rise to #4 by the end of the month. In 1991, Guns N' Roses started a two week run at #1 on the US album chart with Use Your Illusion II. In 1992, Temptations singer Eddie Kendricks died of cancer, a year after having one lung removed. He was 52. In 1993, the Beatles' "1962-1966" (The Red Album) and "1967-1970" (The Blue Album) were finally released on CD. In 1996, “Breakfast At Tiffany's” by American group Deep Blue Something was at #1 on the UK singles chart. The song is a reference to the classic 1960 Audrey Hepburn film of the same name. In 1999, Paul McCartney released his first album since the death of his wife Linda in April 1998. Entitled "Run Devil Run", the CD is a collection of Rock oldies along with new McCartney songs. Also in 1999, Roger Daltrey announced that the Who were reforming, making their first performance in Las Vegas. The show was also being planned to be broadcast live on the internet. In 2001, Michael Jackson gave a 30-year career anniversary concert. A second show was held on October 8th and was planned to be aired on CBS later in the year. In 2007, the recording industry won a key fight against illegal music downloading when a federal jury found a Minnesota woman guilty of sharing copyrighted music online and levied $220,000 in damages against her. In the first such lawsuit to go to trial, the record companies accused the woman of downloading the songs without permission and offering them online through a Kazaa file-sharing account. The Recording Industry Association of America has filed over 26,000 similar lawsuits since 2003. In 2010, the three surviving members of John Lennon's first band the Quarrymen were booked to play a special charity concert for Amnesty International, just yards from the late Beatle's former home at the Dakota Apartments in New York, to mark his 70th birthday.